I don't know if you've ever made your own jam, jelly or marmalade before, but it's fun and worth doing at least once. To be fair, the last time I made jelly I nearly ruined the stove, but that's a story for another time. Anyway, since the idea behind the Jam of the Month Club is this picture of little jars all in rows on shelves, I thought it would be fun to encourage some food crafting too. 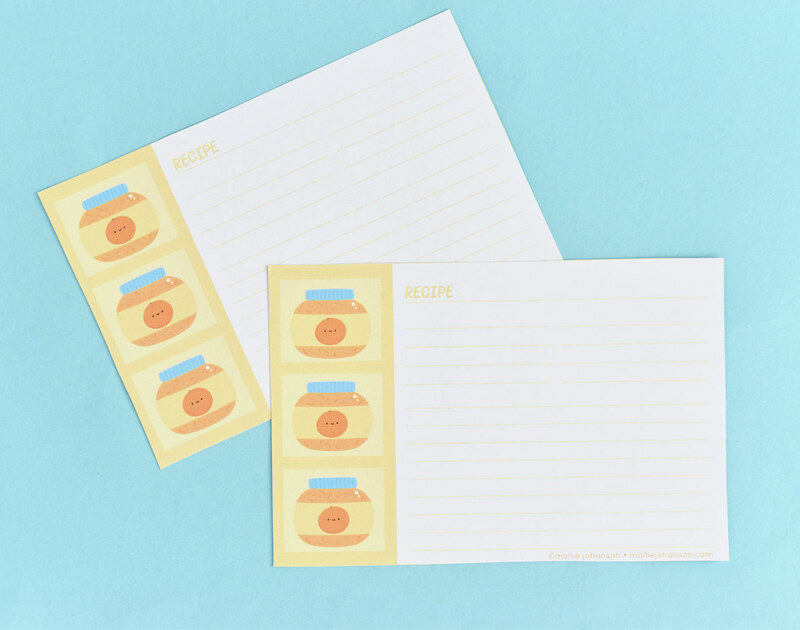 So today you can download 4x6-inch orange marmalade recipe cards! Fill them in with your favorite orange marmalade recipe (this one from Alton Brown is sure to be a winner) or any recipe you like. Thank you. I'm just about of recipe cards, so these will be great. Thank you so much. This is so timely as I just received a jar of my sister’s homemade orange marmalade in the mail. It’s the best marmalade I’ve ever had and she doesn’t make it often. I am hoping she will share her recipe if she has one (sometimes she just makes things up as she goes) so that I can try to make some myself one of these days. Maybe if I send her some of these cute recipe cards she will!